Anantara Vacation Club, Asia’s leading luxury vacation ownership concept for discerning travellers, is delighted to offer Club Points Owners a variety of fun and festive activities to celebrate Christmas and New Year at Anantara Vacation Club Resorts in Phuket and Bali. From sumptuous feasts and stylish parties to fireworks on the beach, Anantara Vacation Club is ideal for a most memorable holiday. 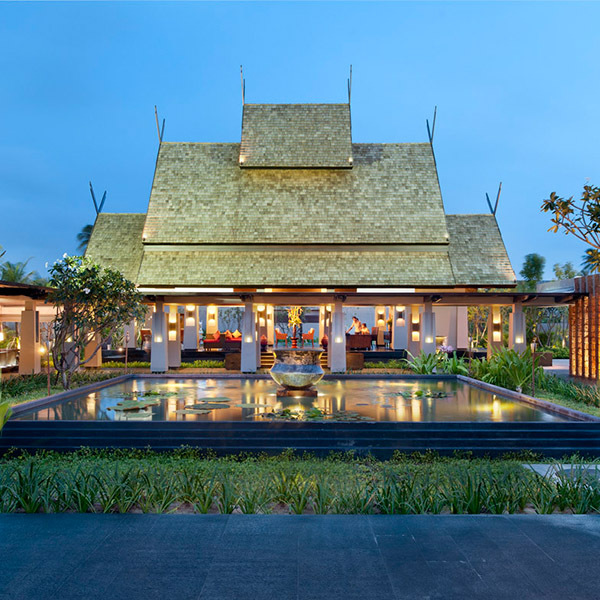 Anantara Vacation Club Seminyak Bali will offer delicious gourmet feasts for Christmas and New Year’s Eve at their signature restaurant, Serai. A four-course dinner set menu is planned for Christmas Eve and Christmas Day, featuring offerings of fine European cuisine (IDR 1,100,000++ per guest or IDR 350,000++ without wine). For New Year’s Eve, guests are invited to participate in a celebration of Bali’s culinary culture, as expert chefs interact with guests through live cooking stations featuring a variety of authentic Balinese favourites (IDR 1,150,000++ per guest inclusive of one bottle of wine, or IDR 550,000++ per guest inclusive of one bottle of beer). Guests celebrating the December holidays at Anantara Vacation Club Mai Khao Phuket can enjoy Christmas Eve festivities and a sumptuous Andaman Seafood Buffet from 6.30 pm– 10.00 pm (THB 1,350++ for adults and THB 675++ for children). On Christmas Day, dine on an easy brunch or dinner from 11.30 am – 10.30 pm (THB 990++ per person), with sumptuous buffets at Chaam along with carol singing, a fire dance, and a visit from Santa and Mrs. Claus. On New Year’s Eve, a market style buffet is offered from 6.30 pm – 10.00 pm, and features live music, a lucky draw, photo booth and a fire show. All-day entertainment is offered for kids, including games, DIY crafts, sports and a countdown on the beach to 2018, capped off by a fireworks display over the ocean (THB 1,880++ for adults and THB 900++ for children). Anantara Vacation Club Seminyak Bali is a luxury boutique villa development offering one, two and three-bedroom Balinese villas complete with private pools and sun decks, en-suite bathrooms with outdoor rain showers, king-size beds and a separate living area with a fully-equipped kitchen. Designed for indoor-outdoor living, each spacious villa ranges in size from 150 – 260 square metres and offers modern open-air pavilions featuring the latest technology to accommodate modern lifestyles. Anantara Vacation Club Mai Khao Phuket is Anantara Vacation Club’s Signature Club Resort in northwest Phuket, offering authenticity and the ultimate luxurious escape. Idyllically located, the property is just 15 minutes from Phuket International Airport, a short drive from the bustling and scenic beaches of the south, and a few minutes’ walking distance from the tranquil sun kissed sands of Mai Khao – Phuket’s longest beach. The green forest of Sirinath National Park surrounds the resort and provides Club Points Owners and guests with easy access to an impressive natural playground of sea caves, mangroves, coral reefs and dazzling islands. Launched in 2010, Anantara Vacation Club is Asia’s premier vacation ownership programme. Offering a portfolio of eight luxurious Club Resorts across Thailand, Indonesia, China and New Zealand, it provides Club Points Owners and their guests with the opportunity to explore top holiday destinations. Club Points Owners’ travel opportunities are further enhanced through the use of the flexible Club Escapes and Global Traveller programmes, which provide access to hundreds of partner resorts and hotels internationally. Anantara Vacation Club is part of Minor Hotels, an international hotel owner, operator and investor currently with 155 hotels in operation. Through Anantara, AVANI, Oaks, Elewana, Tivoli, Four Seasons, St. Regis, Marriott and Minor International properties, Minor Hotels operates in 24 countries across Asia Pacific, the Middle East, Africa, the Indian Ocean, Europe and South America. For more information, please visit www.minorinternational.com and www.anantaravacationclub.com, or follow Anantara Vacation Club’s blog or social media channels on Facebook, Twitter, Pinterest, Instagram or Weibo.